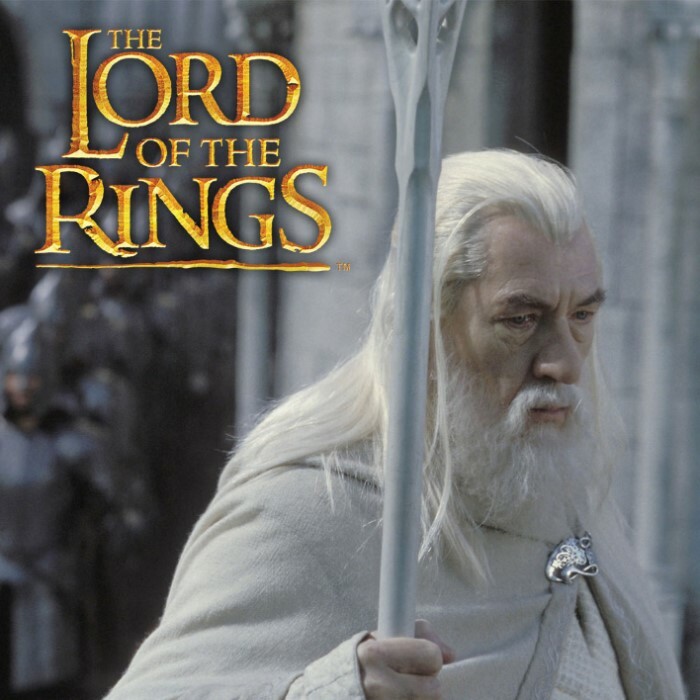 Lord of the Rings Staff of Gandalf the White | BUDK.com - Knives & Swords At The Lowest Prices! 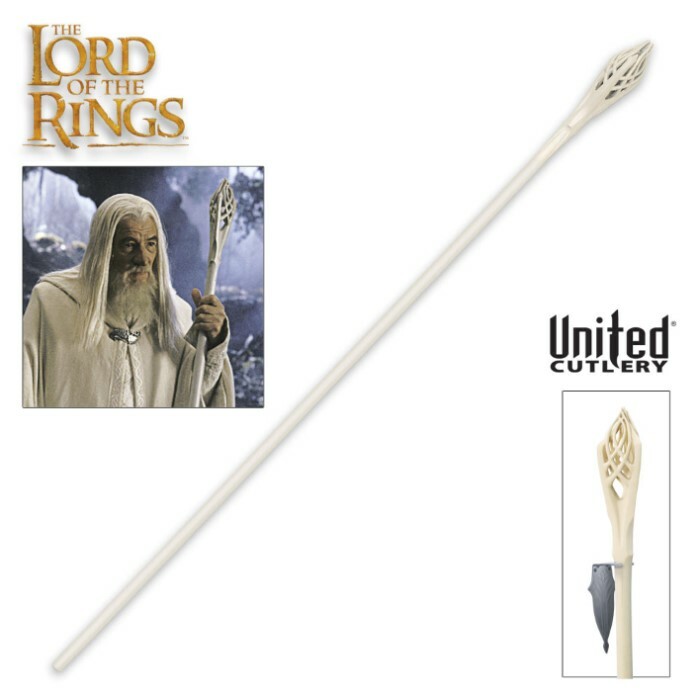 United Cutlery, industry leader in fine motion picture collectibles and replicas, has meticulously recreated this stunning, officially licensed replica of the Staff of Gandalf the White using the highest quality materials. Within the staff crown sits a hollow lattice-shaped bulb that holds a great power. At Gandalf's command, he can cause the crown to illuminate and light his way at night, or to spark a blue flame to ignite fire. The staff is also imbued with a great strength, allowing it to shatter stone with one strike.